Custom designed by Holmes Newman, this elegant Oceanside residence offers an oversized terrace w/direct unobstructed views to Govât Cut, beach & stunning sunrise views over the Atlantic Ocean. Spacious open living & dining room layout w/direct terrace access and ocean views. Sleek gourmet kitchen sports top of the line Miele, Gaggenau and Sub Zero appliances, granite center island w/eat-in seating. 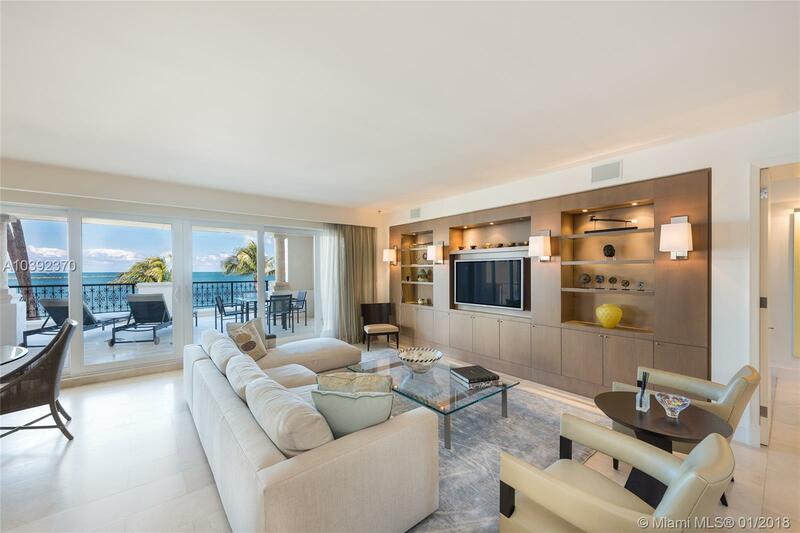 The private ocean facing master suite is spacious w/walk-in his/her closet, electric shades & step-out access to the terrace with stunning ocean views. Master bath features marble floors, his/her sinks, vanity, walk-in marble/glass rain shower, sunken spa tub & private water closet. The guest room is spacious with en-suite bath. ** Buyer must purchase Sellerâs Equity Membership.